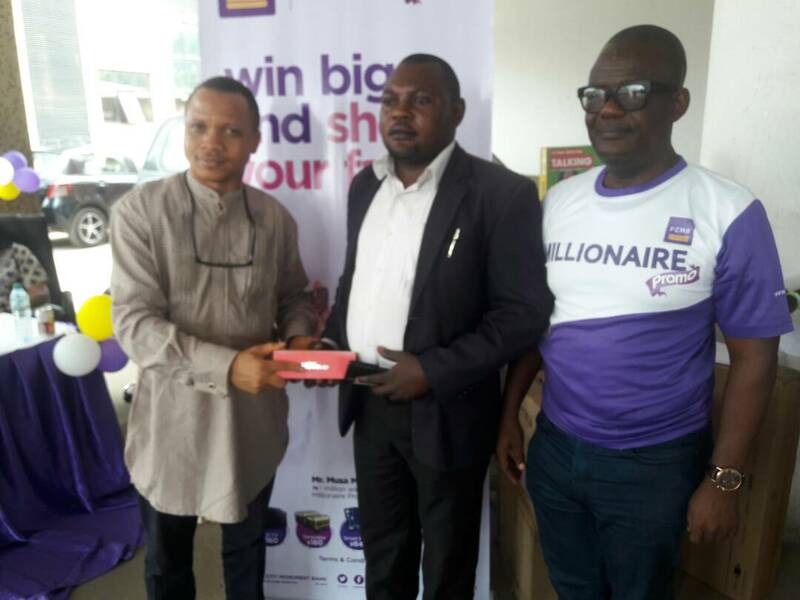 The first draws of First City Monument Bank’s (FCMB) latest bumper reward scheme, tagged, ‘ FCMB Millionaire Promo Season 5 ”, took place across Nigeria on May 23, 2018with the emergence of additional four customers of the Bank as millionaires. In addition, 640 other customers won various exciting gifts, ranging from LED televisions, power generating sets, decoders, tablets, smart phones and other consolation prizes. 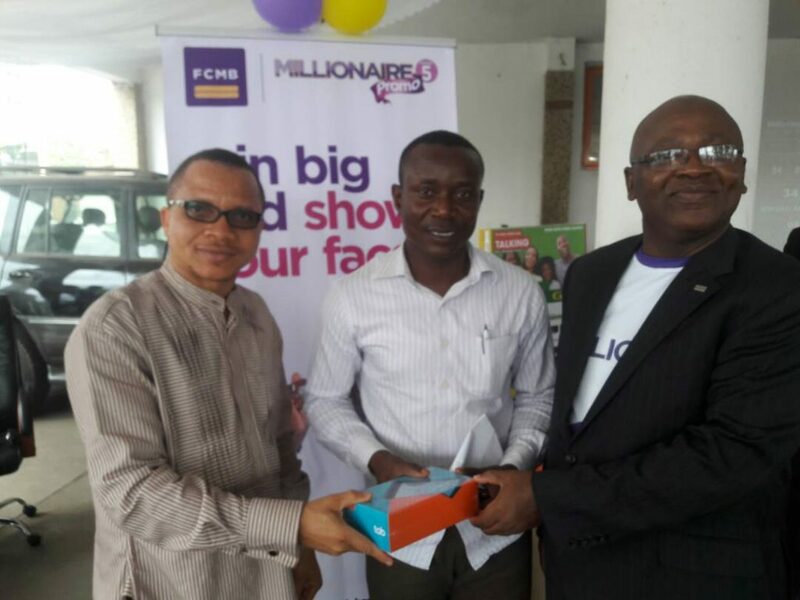 An official of the National Youth Service Corps (NYSC), Mr. Ugorji Franklin; one of the winners at the first draws of the FCMB Millionaire Promo Season 5 in Abuja/North Region, Mr. Kolawole Gbeminiyi and Zonal Head, Wuse of the Bank, Mr. Baldwin Onuigbo, during the promo draw ceremony in Abuja on May 23, 2018. The winners emerged through electronic selection of qualified customers at a colourful ceremony held at the four regions and 25 zones that make up the financial institution’s footprint. In attendance were officials of the National Lottery Regulatory Commission, Consumer Protection Council, community leaders, thousands of customers of the financial institution and other dignitaries. At the Lagos regional draw which took place at the Sanusi Fafunwa branch of the Bank in Victoria Island, Lagos, Mourence Oluwatoyin Ibitola emerged winner of N1million, while Mr. Murphy Onminyi won N1million at the Abuja/North regional draw held at Wuse Zone 4 in Abuja. In addition, Binabi Miller smiled home with N1million at the South-East/South-South draw held at Effurun town in Delta State, just as Mrs. Moriliat Ajerinola was rewarded with the same amount at the South-west regional draw that took place at Ojoo branch of FCMB in Ibadan, Oyo state. One of the winners of N1million, Mrs. Moriliat Ajerinola, a teacher, commended FCMB. According to her, ‘’I am on top of the world. This is a marvellous experience. To FCMB, thank you very much and God will continue to bless the Bank’’. 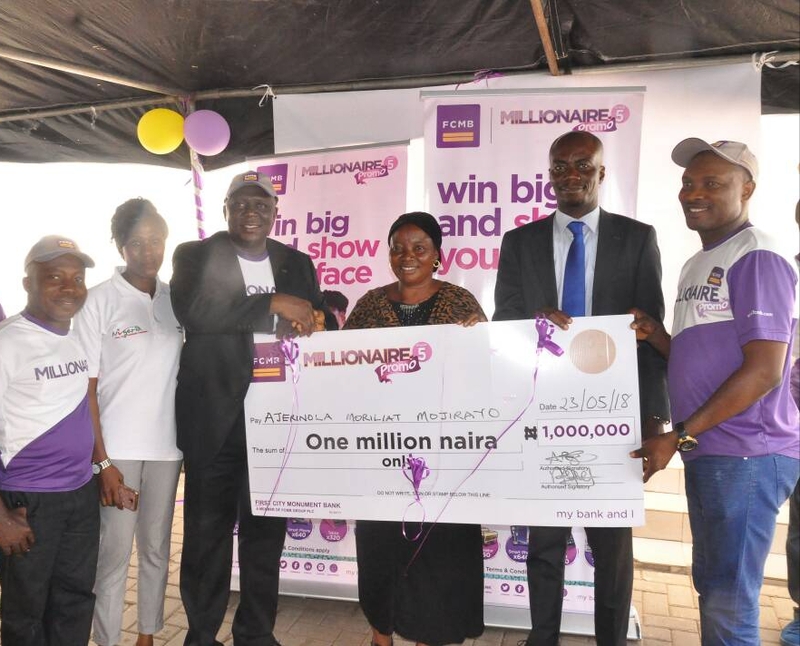 The ‘ ’FCMB Millionaire Promo Season 5”, which commenced in March and will run till October 2018, is part of the various initiatives of the financial institution to reward customers for their loyalty and patronage during the year. It is targeted at all segments of the society and for existing as well as potential savings account customers. 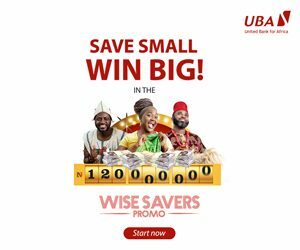 The eligible products or accounts for the promo include FCMB basic savings, kids account, Nairawise, e-savings and premium savings. 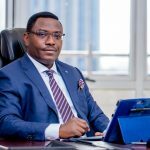 Speaking on the latest draws of the promo, the Executive Director, Retail Banking of the Bank, Mr. Olu Akanmu, said, “we are delighted to produce another set of millionaires and winners of varuous gift items. We will continue to reward and enhance the experience of our customers through this promo and other offerings that will further empower and add value to them. All they need to do to be a winner in the promo is to keep on saving with FCMB”. 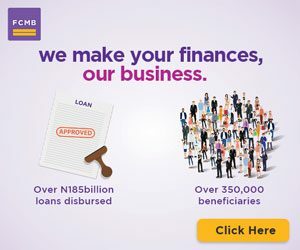 On how to participate in the ‘ ’ FCMB Millionaire Promo Season 5’’, Mr. Akanmu, explained that all an existing or a new customer of the Bank needs to do is to increase his or her balance by N10,000.00 in any of the eligible savings account and maintain it for 30 days to qualify for the Zonal and Regional electronic selection of winners where the star prize of N1million and other fantastic prizes will be won. Multiple savings of N10,000.00 will increase the probability of winning. To qualify for the grand finale draws in November 2018, where four customers will win N2million each, existing and new customers are to increase their balances up to N50,000.00 and maintain it for 30 days. Multiple savings of N50,000.00 will also increase the chances of winning. The second draws of the promo will hold in July, the third in September and the grand finale is in November. Retail Cluster Head, South-west 1 Zone of First City Monument Bank (FCMB), Mr. Bamidele Ojo; Admin Officer, National Lottery Regulatory Commission, Miss. 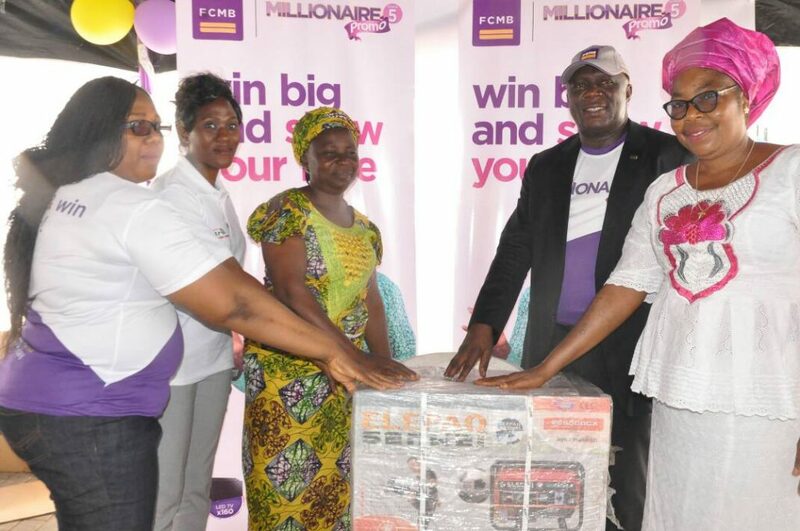 Christianah Jayeola; Regional Head, South-west of FCMB, Mr. Adelaja Adeleye; winner of N1million at the first draws of the FCMB Millionaire Promo Season 5 in the South-west Region, Mrs. Moriliat Ajerinola; Regional Service Head, Mr. Oyetola Oyewusi and Manager, Challenge Branch (Ibadan), Mr. Kamoru Omotosho, during the draw ceremony in Ibadan, Oyo State, on May 23, 2018. 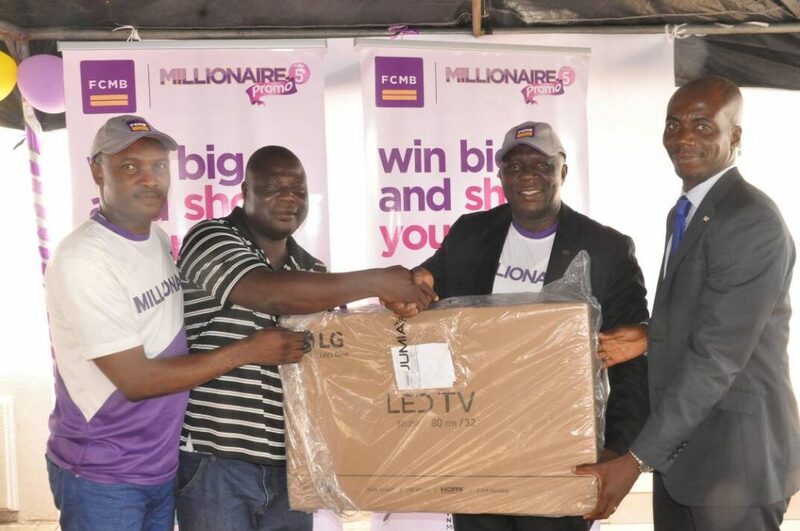 From left: Manager, Challenge Branch (Ibadan) of First City Monument Bank (FCMB), Mr. Kamoru Omotosho; one of the winners of a television set at the first draws of the FCMB Millionaire Promo Season 5 in the South-west Region, Engr. Murtala Oseni; Regional Head, South-west of the Bank, Mr. Adelaja Adeleye and Regional Service Head, Mr. Oyetola Oyewusi, during the promo draw ceremony in Ibadan, Oyo State, on May 23, 2018.